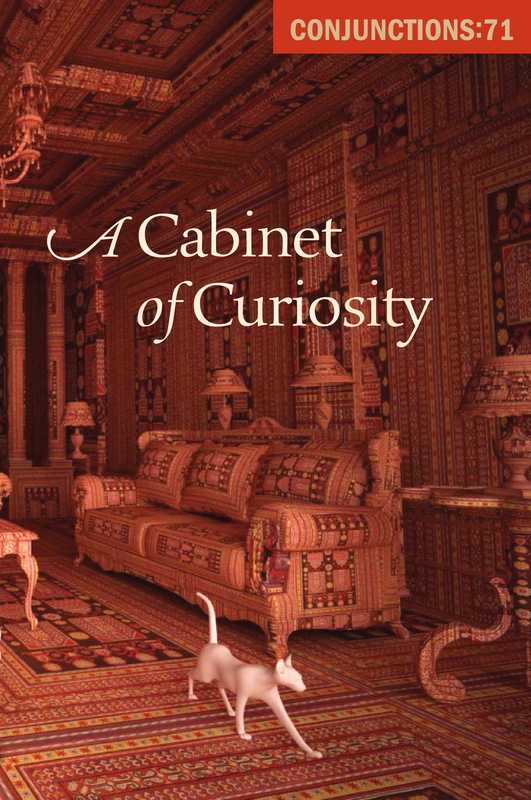 Cover art by Farid Rasulov: Cats in the Lounge, digital print, 2014. © Farid Rasulov 2018, all rights reserved by the artist. For once they all agreed, it would be the concert of the season, the return of the prodigy son. The Jerusalem music scene was in heat—survivors, empty seat fillers, remnants planted on their subscriptions, but from the neck up, in brainpans that went on ticking, still the strictest standards, the highest expectations. My mother cracked each day open like a gutted fish. Her hours, a tarp draped over a stranger’s head. Of why anyone would spend time making or watching a movie, or a bed. I was beginning to sense a pattern. Not that I knew what the pattern was, just that one was coming into view. It had something to do with the babysitter. I didn’t hire her, and refuse to be blamed. Sharon hired the babysitter; I spotted the pattern. The clatter of rain has a personal meaning. This is the time to meditate or write down your dreams. From room to room trying not to spill what’s so precious. Outside the stars were fading and the sky was slowly rosying at the edges when we found the skeleton. At first it was visible only as a clutch of white daggers, thickly clotted with spiderwebs, compressed between the plaster wall and the heavy wooden timbers. I don’t know what I expected it to be. On the bus, we were told to remember everything, to testify, testify, testify. We’d heard this many times before. Remember and testify, they would say, in order that this or that bad thing does not happen again. I harbored no such faith in remembering. Nor in testimony. I fail to believe in them still.